Culture and Tourism Minister Mehmet Ersoy founded and has been operating one of Turkey’s best tourism agencies, Trade Minister Ruhsar Pekcan comes from the business world, Health Minister Fahrettin Koca is tasked with introducing the practices of the private health sector to the state’s services, Erdoğan elaborated. Erdoğan also explained the new military structure and its relationship with the government in the new governmental system. On a question on whether the office of the Chief of General Staff may be subordinated under the defense minister, Erdoğan did not rule out the option, stressing it was one of the requirements of the EU from Turkey in the accession process. “We will evaluate this with our friends under the new system. It’s not true to have a dual management. We now have to find a way to this. I am sure we will resolve this,” he stressed. 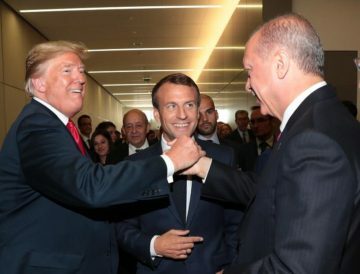 Relations between Akar and his successor Gen. Yaşar Güler as well as Land Forces Commander Gen. Ümit Dündar are very strong and sincere, Erdoğan said, ruling out any suspicion over their ties.